Troy Lawrence is a twenty-seven year veteran of the Fort Worth Police Department and is currently a sergeant assigned to the Digital Forensic Lab. 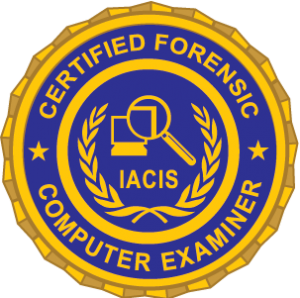 Troy began his forensic career in 2000 and attended the 2001 IACIS® conference in Orlando. He received his CFCE on September 13, 2001. Troy began coaching IACIS® students and was selected to serve as the Regional Manager for the Lower Central US in 2004. He served as Regional Manager until 2007 when he was asked to serve as the Chairman of the Recertification Committee. Troy transitioned the IACIS® Proficiency Test administration away from Marshall University and back into the hands of IACIS® members. Troy served on staff at the 2004 – 2006 and 2009 – 2015 US training events. He served on staff for the 2008 – 2015 Germany and Croatia training events. He attended the 2007 and 2008 US specialized training events in Orlando. Troy is a member for the Scientific Working Group on Digital Evidence (SWGDE) and is a past president of his local HTCIA chapter. Troy serves as a subject matter expert in various classes for the National White Collar Crime Center (NW3C) and has served as a part-time instructor for various forensic training programs.